Like in many other areas of the pro-audio industry, the live/touring market is becoming increasingly competitive, with audio companies continually looking for solutions that will deliver in terms of sound quality, but also provide a solid return on what is often a sizeable investment. This explains why many of these firms identify versatility as one of the main selling points they look for when sourcing a new setup – the wider the variety of applications it can handle, the better, and if one package can match all the requirements on a tour that stops off at a myriad venue types while also meeting expectations on the quality side then it could be a winning combination. And as these demands have become more apparent, manufacturers have been investing huge amounts in R&D to ensure that their new creations deliver in both fronts, so this month we’ve asked a few of them to tell us how they’re able to cater for customers who want their next purchase to tick a number of different boxes. And as with all Meyer Sound loudspeakers, LYON is self-powered, which, as well as offering advantages in areas such as transportation, rigging and installation, also increases flexibility in Espinosa’s opinion. Because LYON shares the same sonic signature as its bigger brother, LEO, it is often set up for nearer-field coverage in combination arrays under LEO speakers. “This was very successful, for example, in a recent in-the-round arena tour by Latin music superstar Marc Anthony,” notes Espinosa, who adds that LYON doesn’t always play the role of the supporting system. “Going the other way, in smaller venues, LYON can be the long-throw box with the smaller LEOPARDs used for the closer seating. This works very well at the summer-long Britt Festivals in Oregon, with four arrays of four LYON over five LEOPARD. “A recent tour by The Lumineers was a great example of LEO family versatility, where LYON was the main system for one leg of the tour, with LEO added for larger venues later in the tour. LEOPARDs were mains for a few small venues with weight restrictions, and deployed as side and rear hangs in large arenas. Since the range was launched in 2015, Funktion-One’s Evolution Series has already proven popular in a wide variety of different environments, from nightclub and theatre installations to festivals, live events, tours and sports venues, but the introduction of the Evo Touring (7T) loudspeaker a year later and the release of the 7TH mid-high section and 7TL-215 with its horn-loaded 15in drivers at Prolight + Sound 2017 further increased the flexibility of the Series, meaning the company’s Evo clusters can now be considered ‘extremely scalable’. So could we have some examples of vastly different scenarios that would both benefit from an Evo Touring configuration? 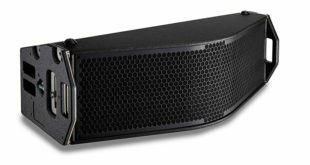 According to Andrews, the range is ideal for an impressive breadth of audience sizes – proven by the fact these speakers have already been use for projects as diverse as Glastonbury (Glade Stage), Nassau and DGTL (both in Amsterdam) Festivals, as well as the Funkhaus venue in Berlin – but once you start going into five figures, that’s where the firm’s flagship system would need to take over. “A single Evo 7T paired with an Evo 7TL-215 on either side is a cracking system for around 500 people. On the other end of the scale, we can go all the way up to an audience size of about 10,000, using three Evo 7TL-215 at the top of the arrangement, three Evo 7TH below that, three Evo 7T (mirroring the mid-high THs) below that and another row of Evo 7T at a greater angle at the bottom for mid/near field. For an audience size above 10,000, we’d always use Vero,” he states. In fact, a lot of what the team learned when making Vero proved to be useful when they moved on to this next project. HK Audio’s COHEDRA range is also ideal for indoor events offering audience sizes in the low thousands, and its versatility is evident when you look at the spectrum of musical genres that it is required to distribute with power and clarity on a regular basis. 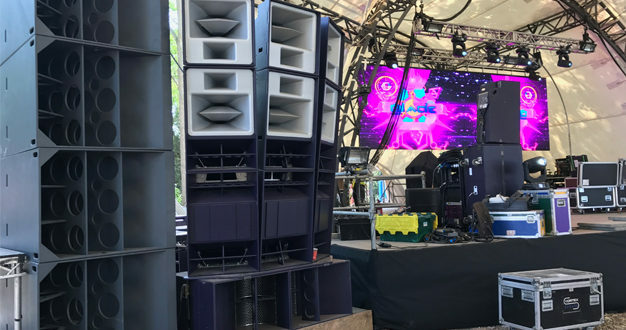 Like Funktion-One’s Evolution Series, the thinking behind COHEDRA was that it would be very simple to build a system up or down depending on the size and characteristics of the next venue on the schedule. “We recently did a tour with a prominent German hip-hop group, Genetikk, where we were doing venues with capacities between 1,000 and 5,000 each night, and one system was all it took,” comments Luuk. 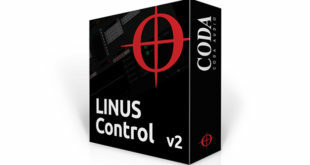 “It’s a very easy-to-handle product; one engineer can set a system up in less than half an hour. It also has a small footprint both in the venue and for transit and storage – on the Genetikk tour, we had the whole rig in a single ten-ton truck. COHEDRA has also been chosen for Germany’s mammoth outdoor Rock im Park Festival, operas, gaming conventions, the Saarlandhalle in Saarbrücken – which has seen COHEDRA handle everything from Deep Purple to classical orchestras – and the 55,000-seat Commerzbank Arena in Frankfurt, where the system was used to break the record for the world’s largest orchestra playing the same piece of music at the same time (and covered in the July/August 2016 issue of Audio Media International). Another loudspeaker option that claims to be capable of meeting “the widest possible variety of applications” is CODA Audio’s AiRAY, which is designed to combine the size (around half that of a conventional 2 x 12 system), weight (under 40kg), rigging flexibility, amplification and cabling of a compact system with the high SPL of a large-format line array. The commercial and practical advantages for rental companies in terms of rigging, manpower required for operation and trucking capacity are clear, says CODA’s sales and marketing manager Paul Ward, who explains why he considers AiRAY (pictured below) “an unprecedented solution.” “For example, large line array systems are not viable in many smaller to medium-sized venues because of ceiling weight restrictions, with the result that rental companies have to invest in multiple systems to cater for different requirements. 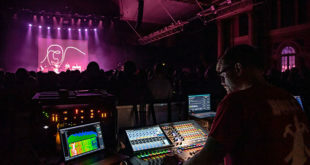 And that really is a key point of Ward’s: rental firms and other customers of his will always strive to deliver the best audio possible for their clients – that is a fundamental principle, he says – but cost has always been and always will be an issue for the live sound industry, and the more applications a system can cover, the less investment is other alternatives is needed. 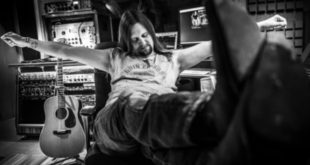 Ward says AiRAY has enjoyed “great success” since its launch last summer and been used for many festivals and tours, but any that Audio Media International readers might recall? As the competitiveness of this corner of the business shows no sign of slowing, we can expect to see speaker makers continue on their quest for that one all-round system to rule them all. Gone are the days when rental firms had no choice but to lug about an assortment of different elements that could be handled by a sole system today, and so with many of these companies now narrowing their inventories, manufacturers arguably have a more difficult job than ever ensuring their product is the one taking up that crucial truck space. Although we’ve focused mostly on large-scale systems for venues and outdoor events with sizeable capacities here, there is another category of loudspeaker that we feel should be mentioned. They may not be able to throw as far as some of the other systems we’ve included, but portable column PA solutions like the LD Systems MAUI G2 from Adam Hall Group are gaining popularity with singer-songwriters, solo entertainers, DJs and small to medium-sized gig venues right through to those hosting presentation and business conferences who are looking for the right balance of power, practicality and – you guessed it – versatility. Both equipped with four-channel mixers, the MAUI 11 G2 (1,000 Watts peak power, pictured) and MAUI 28 G2 (2,000 Watts) can now be operated with separate sub and column placement thanks to new dedicated accessory kits. These include a set of multipin adapters and a floor stand, a parallel wall mount and tilt and swivel brackets for the column, which enables more precise speaker orientation. The two-piece aluminium column is loaded with 16 3in speakers and two 1in neodymium compression drivers coupled to a single waveguide that has been optimised using a process called boundary element method modelling. Adam Halls says that the purpose of the waveguide is to reduce the unwanted floor and ceiling sound reflections and to achieve a coherent coverage pattern across the listening area so everyone in the audience can experience the same sound regardless of where they’re standing.